1 or 2 day On-Street Training Tours for Groups. Increase your safety and confidence while enjoying a fun and inspiring tour through the beautiful Western Mass Berkshire Hills and Southern Vermont. This is an enhanced tour featuring the nationally recognized Stayin’ Safe Advanced Rider Training Program. More than a Skills Course, More than a Tour… It’s a Training Tour! My name is Ken Condon and I will be your personal tour guide and riding coach during these one or two day on-street training tours. I will show you a good time as we tour the beautiful New England countryside on many of my super-secret twisty roads. You will certainly enjoy the memories of a great day or weekend ride, but even more importantly, you will gain greater confidence and control. 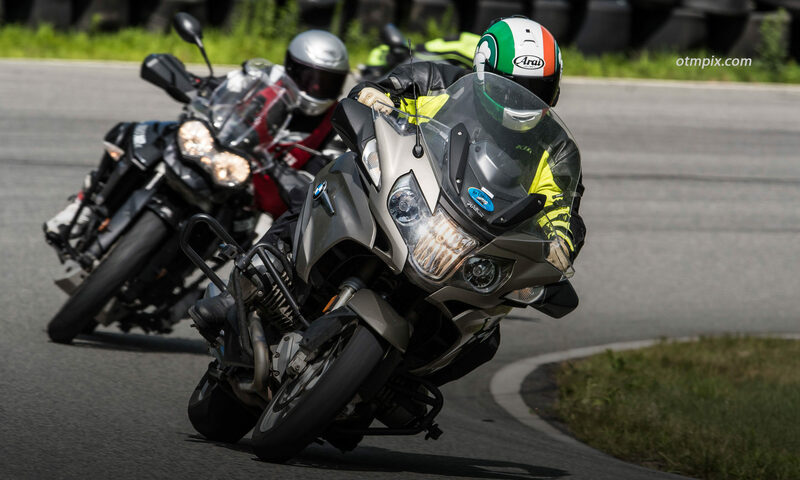 Personal On-Street Training Tours is designed specifically for experienced riders who want to ride the uncrowded, scenic roads of Western New England, but are also wanting to learn how to increase confidence and enjoyment. Join Ken for a two day training tour featuring the nationally recognized Stayin’ Safe Advanced Rider Training Program. Increase your safety and confidence while touring the beautiful Berkshire Hills of Western Mass and Southern Vermont. Includes Saturday Dinner, Saturday night stay at the Inn at Norton Hill and Sunday breakfast at Elmer’s in Ashfield, MA . Discounts apply for returning students. Tour through the hidden Berkshire hills of Western Massachusetts and Southern Vermont. Dinner and Saturday night stay at the Inn at Norton Hill, in Ashfield, MA and Sunday breakfast. Please consider booking a room the night before on your own so you’re fresh the next morning. Special discounts apply to RITZ students, so be sure to tell the Inn you are with Ken. Scholarships are available through the BMW/MOA Foundation.Limited to three participants. Custom dates can be accommodated on request. Email Ken today. *More students can be accommodated with additional instructors. Email Ken. We will start our day with a presentation and then go to a parking lot to practice some advanced skills before heading out for an epic ride through some of the best roads in New England. This is a fun and economical way to learn and refine riding techniques while touring awesome back roads! Dates can be accommodated on request. Email Ken. Off-Road Training Tours are scheduled on weekdays. Contact Ken to discuss scheduling a day (or two). This is a custom option for larger groups of 8 or more. Do you have a larger group of friends who would like to train together while having a great time touring the beautiful Berkshires? This is a great option. One or two day tours are available. Dates can be accommodated on request. Email Ken today. This tour does not include Bluetooth communication, but does include the attention of staff who will address individual needs. We will start our day with a presentation and then go to a parking lot to practice some advanced skills before heading out for an epic ride through some of the best roads in New England. Coaching is done in a parking lot and during frequent stops throughout our training day. CLICK to see available days. Other days may be available that are not listed. Contact Ken to discuss scheduling your event. Rider Education Scholarships are available through clubs and other organizations, such as the BMW/MOA Foundation. "As an Olympic athlete, I've had thousands of hours of coaching from some of the most respected coaches in the world, and I have to say Ken is among the best coaches I've ever worked with." "I just returned from an amazing moto-journey through Western New England. Deep gratitude to Ken Condon for being my guide through this beautiful part of North America and for empowering me to be a more mindful rider." H.Y. "I was very impressed with the whole program. Ken is an outstanding instructor and a pleasure to ride with." J.C.
"I wanted to thank you for the excellent coaching you gave me on Thursday. I think you really helped me." T.Z. "Spending a day (or half a day even) with Ken for a rider at any level will be so valuable. If it’s crossed your mind, do it. You’ll be so glad you did." K.L. "This master class has had a profound effect on my riding since that day. I always try, as Ken put it, “to look for opportunities to interact with your motorcycle,” and not be a passive driver. It's even changed the way I drive my car- hazards are hazards, after all, and being able to recognize clues about the lay of the road and intentions of other drivers is a valuable skill." S.B. Craig Ripley from Living off the Slab offers this video review of the 2-Day Riding in the Zone/Stayin’ Safe program. Be sure to subscribe to his YouTube channel. Please Read the Payment and Cancellation Policy Page. Tours are available on weekdays and weekends. Contact me to discuss your needs.